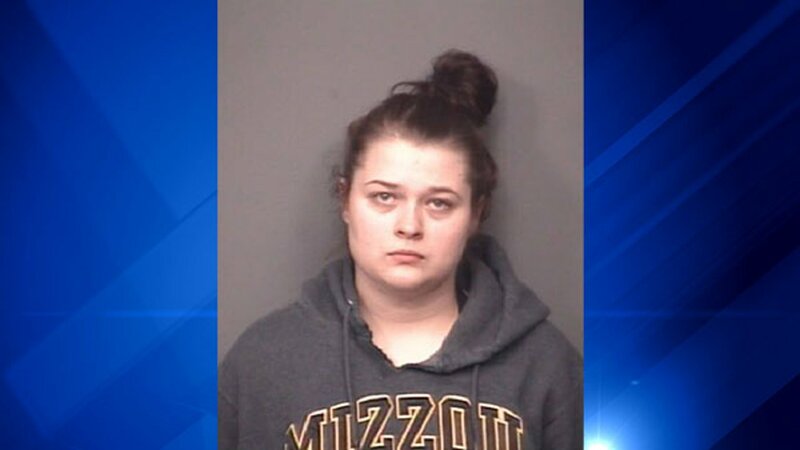 DEKALB, Ill. (WLS) -- DeKalb police said a woman has been charged with murder and child abuse in the death of her boyfriend's 2-year-old child. Police said at about 7:20 p.m. on Friday, Nov. 10, they were notified by staff at Kishwaukee Community Hospital that a 2-year-old had sustained a brain injury under suspicious circumstances. The toddler was taken to Lurie Children's Hospital in Chicago for further treatment. An investigation found Alexandra Hoyle, 21, of DeKalb, who was the girlfriend of the boy's father, had slammed the child's head onto the hardwood floor of their home in the 800 block of Ridge Drive in DeKalb, police said. Hoyle was arrested on Saturday, Nov. 11, and charged with aggravated battery to a child. Bond was set at $500,000 and subsequently lowered to $100,000. She was held at DeKalb County Jail until she posted bail. Wednesday the 2-year-old succumbed to their injuries at Lurie Children's Hospital. An autopsy Thursday found he died of blunt force trauma to his head from child abuse and his death was ruled a homicide. Hoyle was arrested again and charged with two counts of first degree murder. Her bond was set at $5 million. "On behalf of the DeKalb Police Department we offer our sincere condolences, and our thoughts and prayers are with the victim and those that survive him," DeKalb Police Chief Gene Lowery said. "DCFS is investigating the father's girlfriend, Alexandra Hoyle, for allegations of abuse and neglect resulting in the death of Khalil Body. Khalil's twin brother was in the home at the time of the incident and is now in the custody of his father." DCFS said they have not had prior contact with Hoyle, but they have had prior contact with the child's biological mother and father for allegations of neglect in May 2016 and October 2017. "In May 2016, the biological mother was indicated for neglect and allegations against the father were unfounded. In October 2017, allegations of neglect were unfounded for both parents," DCFS said in a statement." Hoyle remains in custody at DeKalb County Jail.